UofL rejoins the MECTC for the first time since 2012. Louisville, Ky- The Student Cycling Coalition launches Kentucky’s only intercollegiate competitive triathlon squad. The SCC’s board and sponsors have decided to re-launch the University of Louisville Triathlon squad for 2015. The team will compete in USA Triathlon’s Mid-East Collegiate Triathlon Conference (MECTC). For 2015, the SCC is the only official MECTC team in Kentucky. The University of Louisville previously had a triathlon club in 2012, and folded due to a lack of interest. This year, the SCC is building upon its organizational success as a cycling team and as a Registered Student Organization to add triathlon to its involvement. The SCC is currently the only registered triathlon team in the MECTC from the state of Kentucky. It will be managed by newly-elected triathlon coordinator and vice-president, Evan Cruson. The coaching will be taken on by USAT Certified coach, Barry Stokes and his team at BarryS Coaching. BarryS Coaching will coach UofL Triathlon. The SCC is a Registered Student Organization that falls under the same category as other student managed organizations such as greek organizations, community service chapters, and professional chapters. The RSO status allows the SCC the flexibility to sponsor both UofL Cycling and UofL Triathlon independently from the Club and Intramural Sports programs, while maintaining a focus of encouraging a healthy lifestyle. 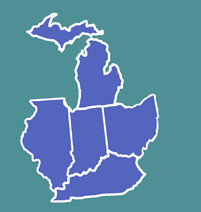 The MECTC is comprised of universities from Michigan, Illinois, Indiana, Ohio, and Kentucky. All students that are University of Louisville full time status are eligible to compete in the MECTC collegiate indoor triathlons throughout the winter and outdoor sprint and olympic distance triathlons throughout the summer and fall. The SCC will have its third meeting of the year on Wednesday, Feb 12th at 7pm in West Hall. All interested students are welcome to attend. Follow the SCC on Facebook, Instagram, or Twitter!